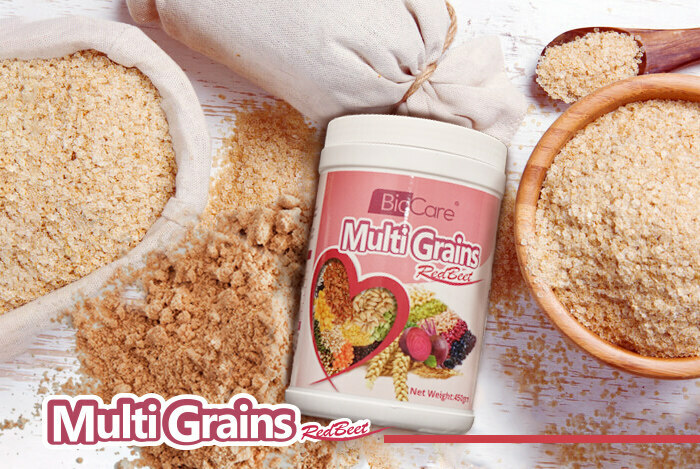 Multigrain is high in complex carbohydrates, protein, dietary fiber, vitamins and minerals. It is good for energy production, reduces cholesterol level, prevents heart disease, obesity, and type 2 diabetes and promotes proper bowel function. Oligosaccharide is a type of carbohydrate that found in plant. It acts as prebiotic that are support the growth of beneficial bacteria in the large intestine. Oats are rich in a specific type of fiber called beta-glucan. Beta-glucan is known to help lower bad cholesterol level. 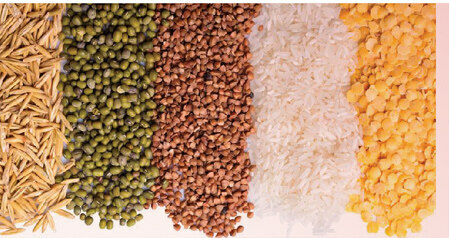 Lecithin is a fat that is essential for our body cells. It is a good source of choline for treatment in dementia. It also used to treat liver ailments and reduce cholesterol level. 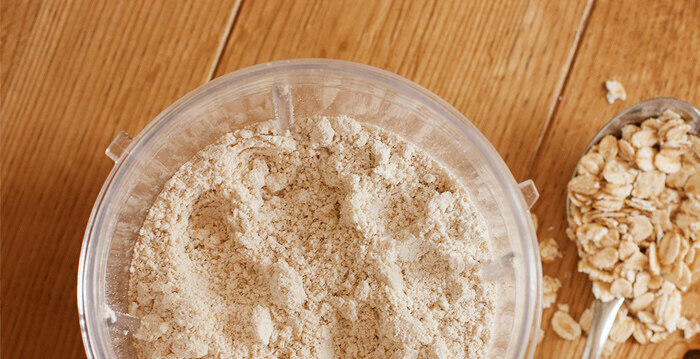 Isolated soy protein has 90-95% protein and nearly carbohydrate and fat-free. It supplies high quality protein needed for growth and increase lean body mass. Enzymes play an important role digestive system. It increase the nutrients you absorb from diet to improve overall nutrition. It also helps to decrease or eliminate indigestion and bloating. Fibersol®-2 is a low viscosity soluble dietary fiber that helps to relieve occasional constipation, increase feeling of satiety and retain healthy serum triglyceride level. 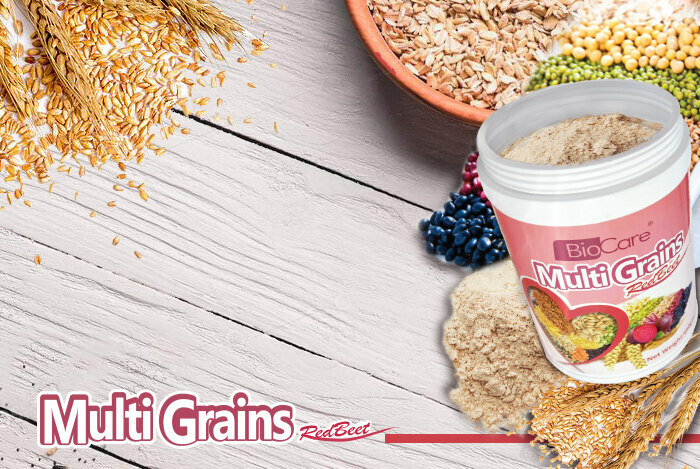 Mixed powder of grains & seeds(16 types), red beet powder, oat powder, fructose, oligosaccharide, soya lecithin, isolated soya, protein, non daily creamer, fibersol-2 soluble fiber, instant malt extract. Mixed into 200ml of warm water. Mix into 200ml of chilled or lukewarm water.